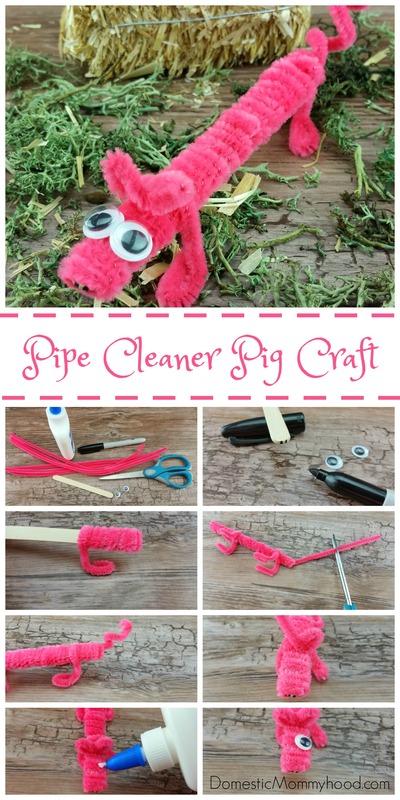 We decided that in honor of National Pig Day we were going to make a Pipe Cleaner Kids Craft. When I told Charlee Ann about the special day she just about fell over, and you will never guess what she said!! I will get to that here in a bit. I pulled out our If you Give a Pig a Pancake Picture Book and Story Basket that we use to practice a little math and literacy and we sat down to spend a little time together. Reading a book is fantastic all by itself but when you add a story basket to it your child really starts to enjoy their self! We are all about learning through play in our household!! Charlee really enjoys the pancake counting activity. After we work on math a little bit we always have to pretend to have a breakfast and the little plastic pig from the story basket joins us every time. The problem with the pig is he eats too much and Charlee gets mad (I’m kidding). Then we move onto the Pancake letter matching game. The letter matching game was pretty frustrating for her until I pulled out a frying pan and a spatula. All you need to do to keep kids interested folks is change it up a bit and turn it into a game. You see, she thinks she is cooking breakfast now but she is actually practicing her letter matching at the same time. You can’t really put the capital “A” in with the lower case “v” can we?? I guess it’s time to move onto our feature item. 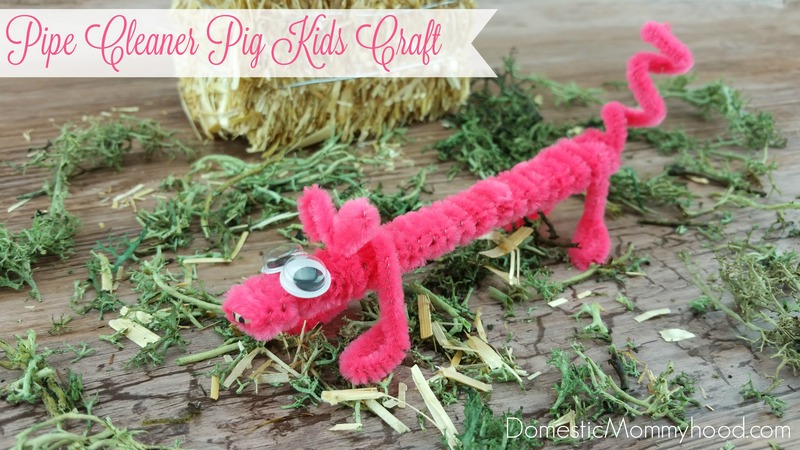 How to make a Pipe Cleaner Pig Kids Craft! Here are your directions for the Pipe Cleaner Kids Craft! Start by taking the marker and making two small dots on one end of the stick. Next take a pipe cleaner and start wrapping it around the stick, starting at the end where the dots are. After you wrap about half way of the pipe cleaner, shape a leg. Then when you start to wrap the next pipe cleaner, start by shaping a leg and then keep wrapping. Do the same thing when you get about 3/4 down the stick. After you have all four legs shaped, keep wrapping until the whole stick is covered. Then at the end, cut the last pipe cleaner about 2 inches after the end. Curl it around your finger to make the tail. Using the piece you cut off of the end, twist it around the stick just before the first legs. Then fold each end over on top to make the ears. Using a small dab of school glue, put the eyes just in front of the ears you just made. That is it! Oh, wait…… I forgot to tell you about what Charlee said! There is just something about having a child that jokes with you that makes life just a little bit funny!! I joke with her all the time but now she is old enough to come right back at me! I hope you enjoyed todays Pipe Cleaner Kids Craft! It’s great for working on fine motor skills and what kid doesn’t like a pig? !